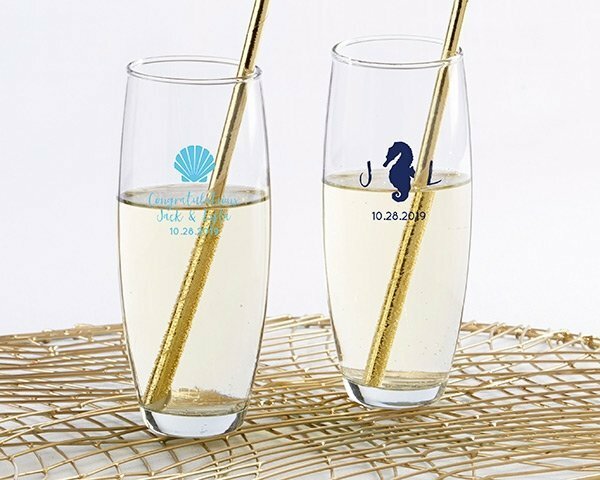 There aren't many things more romantic than sipping champagne seaside. 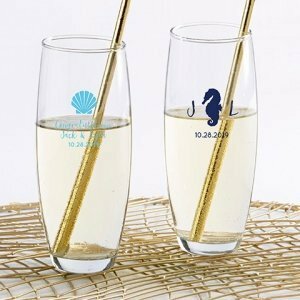 Featuring your choice of a sweet seashell design or an adorable seahorse, Kate Aspen's Seaside Escape Stemless Champagne Glasses are the perfect addition to any beachside wedding or bridal shower. 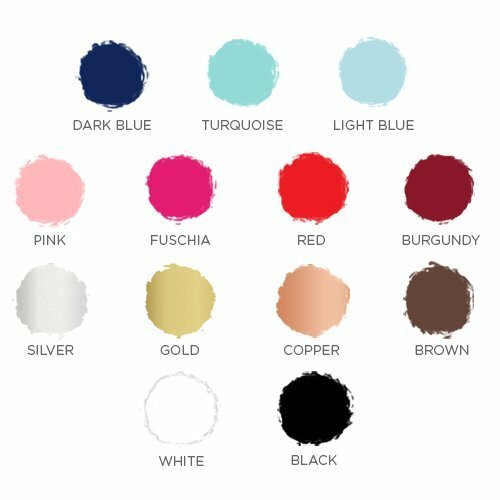 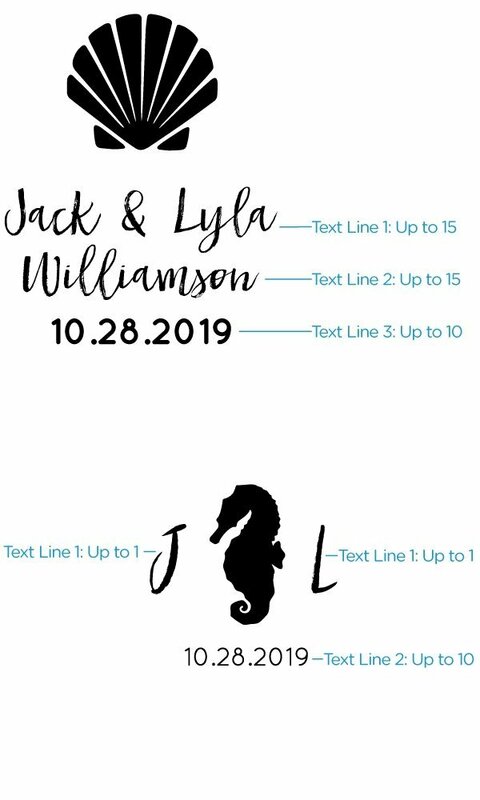 Available in a variety of colors to perfectly coordinate with your decor, these champagne glasses can also be personalized with up three lines of text, including the guest of honor's initials, event date or a short message.